Wether you are looking to get a oil change or need to have your brakes looked at, we can help! 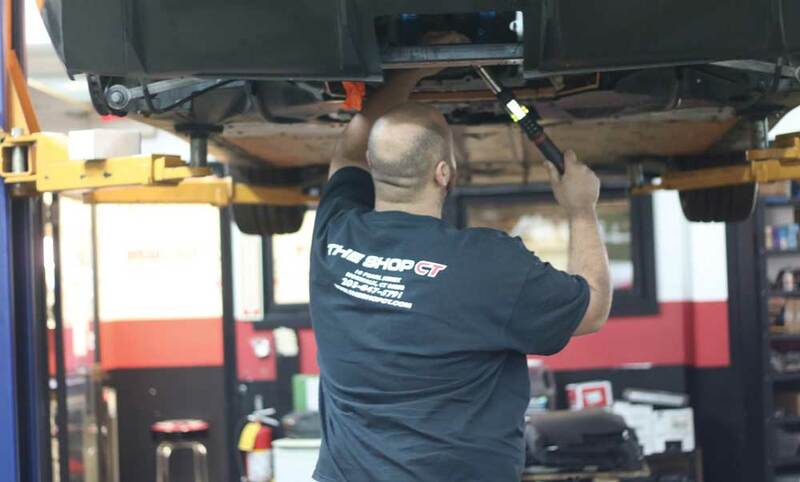 At The Shop CT we provide all the services your vehicle needs. We provide all type of vehicles services including repair, maintenance or upgrades.We work on all jobs from beginning to end. Our goal is to provide each customer the highest quality and affordable auto repair services.We value each and every one of our customers. We take pride in our work and love seeing repeat customers to meet all of your automotive service and auto repair needs. We hold the quality of our service and parts to the highest standards. You can be assured we are using correct parts and all work done is inspected and tested before your car is returned to you.The Shop CT has been owned and operated by Jimmy Kakaletris since 2005. Our automotive service goal is to provide each customer the highest quality, honest and affordable auto repairs and services. Our reputation has been built one satisfied customer at a time. We look forward to helping you with your automotive maintenance, repair and service needs.